OpenOceans Global is a non-profit, non-advocacy organisation dedicated to ‘Linking People to the World’s Oceans’ through sharing information that will result in more informed decisions. The organisation envisions a human genome project for the ocean through the development of an international, cross-sector ocean community focused on archiving and aggregating the world’s ocean data and creatively presenting that data using advanced visualisation technologies. When Columbus, Magellan, and the other great world ocean explorers made their voyages, they collected data. The data was captured in log books read by a class of storytellers we call map makers who then combined them with first hand reports by the explorers and crew. Those innovative cartographers imagined the voyages by visually documenting the land forms and the ocean boundaries, describing currents and soundings, and noting hazards, all of which resulted in ever-more sophisticated maps and charts of the ocean. While we are familiar with the names of explorers like Columbus and ­Magellan, the map makers were really the ones who showed us the world and the world’s oceans. We remember some of their names, like Mercator, while others aren’t widely known. At most only a few copies of the first ocean maps existed. However, the notes and maps from multiple explorations slowly came together until they began to provide a common way for people to see an increasingly sophisticated view of the world and the ocean. The evolution of how we tell the story of the ocean through maps parallels the evolution of the dissemination of information and storytelling in general. From an oral tradition to hand-written books, to the printing press, to libraries and now to the internet, knowledge has become increasingly comprehensive and the information and stories necessary to gain it increasingly available. The mapping of ocean data has progressed in ­similar fashion. Today, the data collected by publicly recognised ocean explorers like Bob Ballard, John Delaney, Sylvia Earle, and James Cameron (and many others with little public visibility) is visualised and turned into useful information by a new class of map makers. While the exchange of data from explorer to map maker might still be similar, these cartographers use software developed by innovative leaders like Jack Dangermond of Esri and Michael Jones of Google Earth. 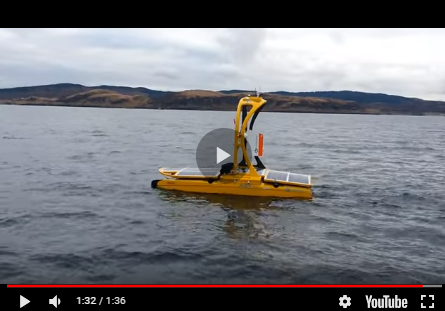 Instead of soundings taken by hand and observations by eye, data is collected by instruments produced by companies like Trimble, Teledyne, Seabotix, and many others. OpenOceans Global came into existence because of the obstacles that prevent the development of a place to archive, aggregate and creatively present the world’s ocean data using maps and other advanced visualisation technologies. A global ocean research data portal does not exist and is not likely to be achieved by traditional governmental or academic institutions due to the complexity of funding and politics governing ocean research. Great work is being accomplished by government agencies and academic institutions all over the world. Each of them is working on one or more pieces of the ocean puzzle. OpenOceans Global’s goal is to create the portal where the pieces can be assembled. Without comprehensive ocean data transformed into useful information to inform decision making, it will be very difficult to address the traditional ocean management issues of fisheries, water quality, transportation, and recreation and the new demands that will be made by wind, tidal, and wave energy projects and using the ocean as a source of fresh water. It will be even more difficult to address and predict the impacts of ocean acidification, sea level rise, and changes in precipitation patterns that are likely to occur because of climate change. OpenOceans Global believes it is impossible to save the ocean or to use it safely if we do not understand it. We do not currently understand ocean processes well enough to address the impacts of seven billion people growing to a world population of ten billion. Without proactive understanding of the status of the ocean and a way to imagine and reach a sustainable future for the sea, there will be great losses both environmentally and economically. Bringing together the world’s ocean data is a non-political, non-adversarial goal that all interests have in common. In the same way that the Human Genome Project imagined the possibilities for understanding our ability to predict and cure human maladies, OpenOceans Global imagines a human genome project for the ocean with all interests working together to assemble the common datasets needed. This effort can move the ocean decision making processes from fear of losing all that the ocean offers to one where we work to realise the hope that we can coexist with the sea and maintain its benefits into ­perpetuity.